Weekly print newspaper includes website access to current digital edition of newspaper as well as all of prior year’s digital editions. 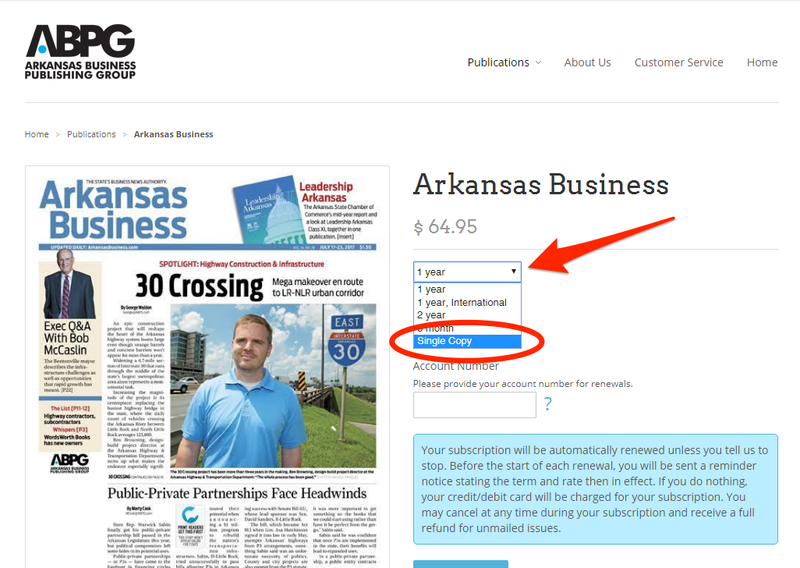 Arkansas Business supplements will be mailed with the weekly print issue at the time of their publication at no additional cost. 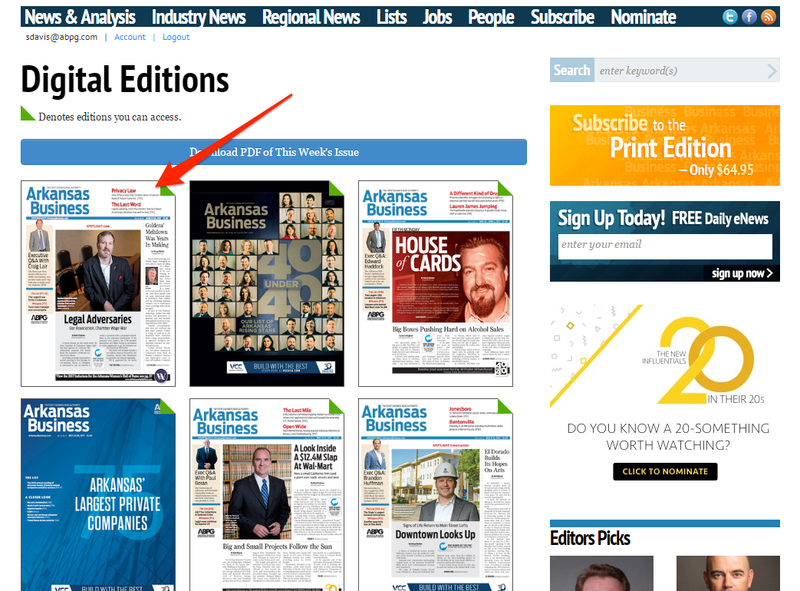 Weekly print editions are mailed each Friday from North Little Rock, AR, and have a Monday cover date. They are delivered by US Postal Service between Monday and Thursday of each week, pursuant to postal regulations, holidays, etc. Long-distance deliveries will inevitably arrive later than local deliveries. 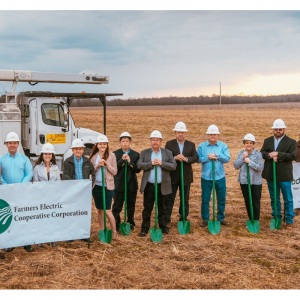 Subscribers with an email address on file will receive a link to the digital edition each Monday morning. 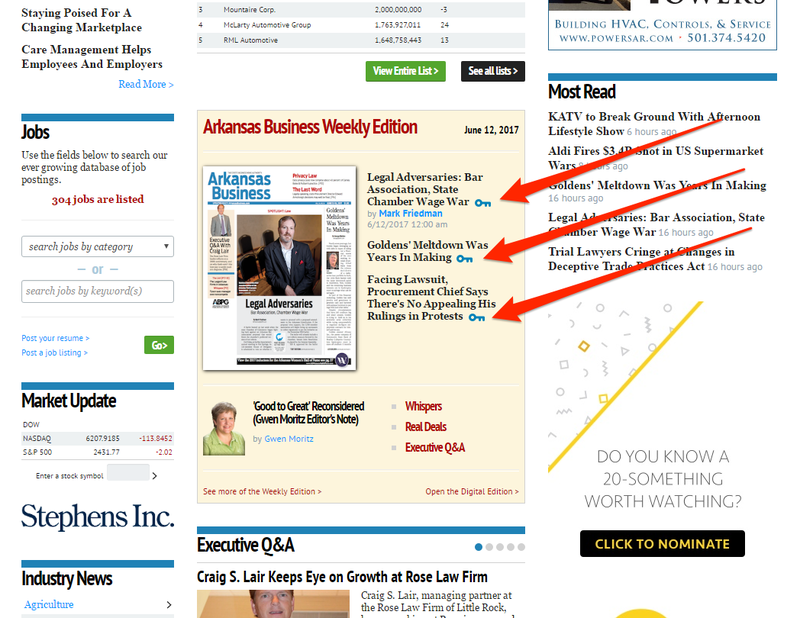 If you have already registered on ArkansasBusiness.com, simply log in here. 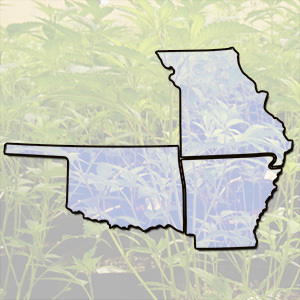 Current supplements include: Arkansas Meeting Planner, Book of Lists, Capital Assets, FIT Arkansas, Greenhead, and Lease Guide. 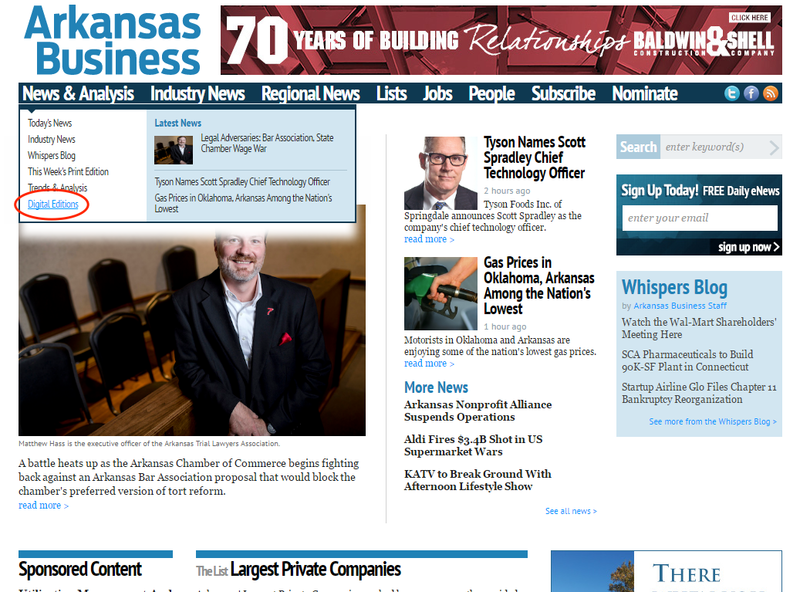 Access to all articles on ArkansasBusiness.com, dating back to 1994. Any article older than 15 days is considered archived and cannot be viewed without an Archive subscription. Archive subscriptions require online payment and will be automatically renewed each year. Subscribe here. Premium Subscriptions require online payment. List of available newsletters here. Unsubscribe or update your preferences here. In the body of your email, please include the name on your print subscription and the delivery address. 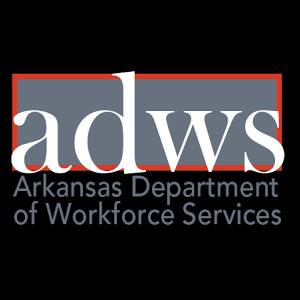 Arkansas Business renewals and new orders both include print and digital editions. Credit cards will be automatically renewed approximately one month prior to expiration. Subscribers will not receive renewal notices and will receive receipts for each charge. 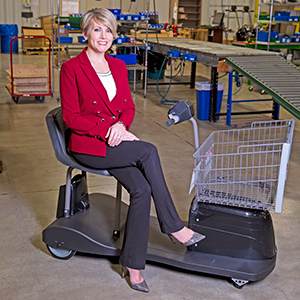 Arkansas Business – online single copy purchase here. Please include single issue cover date in the “add special instructions for your order” section on the following page (see below). 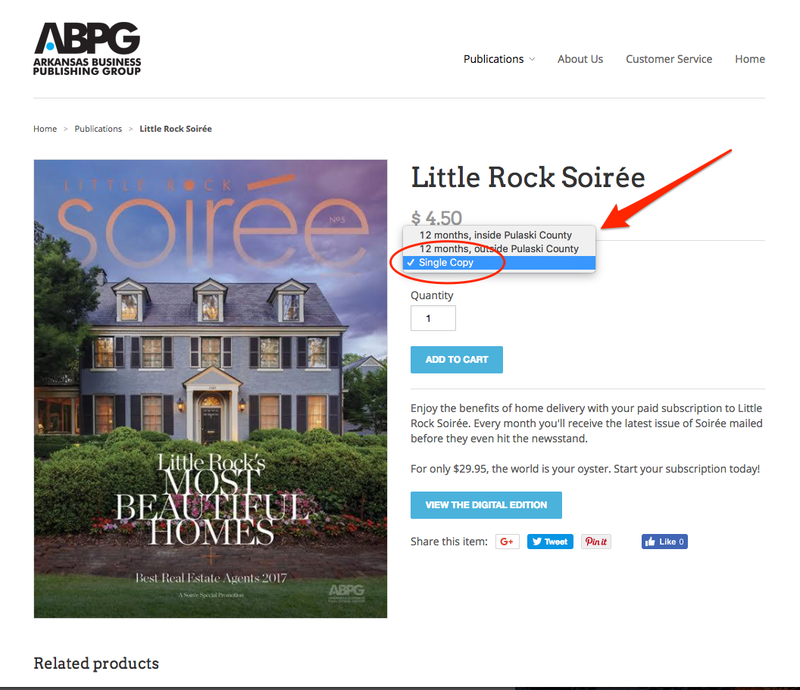 Little Rock Soiree – online single copy purchase here. 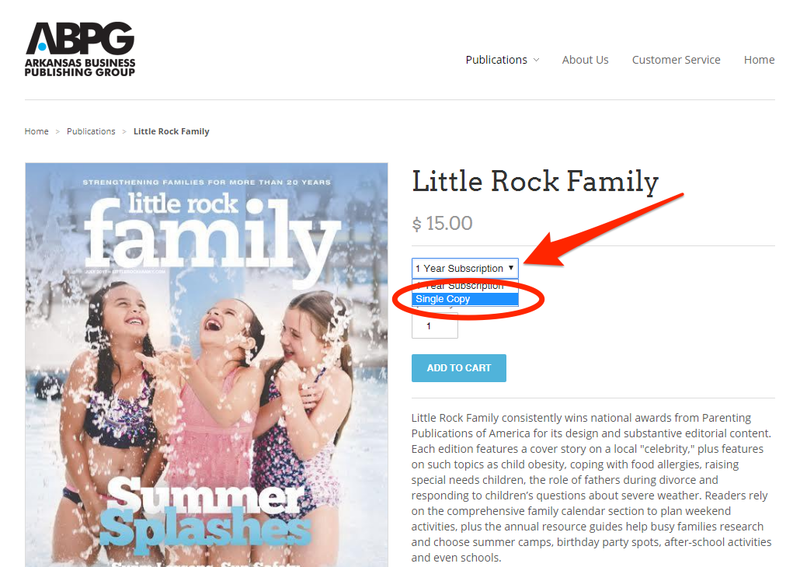 Please include single issue cover date in the “add special instructions for your order” section on the following page. Little Rock Family– online single copy purchase here. 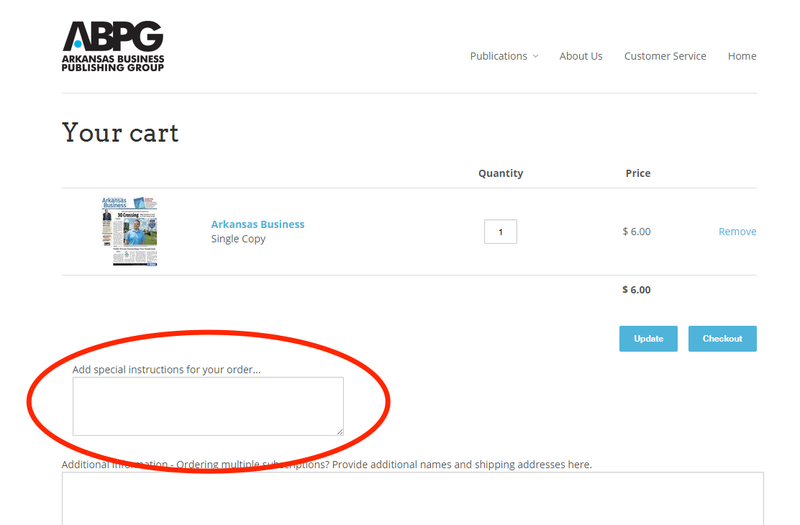 Please include single issue cover date in the “add special instructions for your order” section on the following page. NOTE: Articles with a blue key next to them may only be viewed in the digital version of the week’s issue for the first 7 days. After this time frame has passed, they may be viewed and/or printed individually. 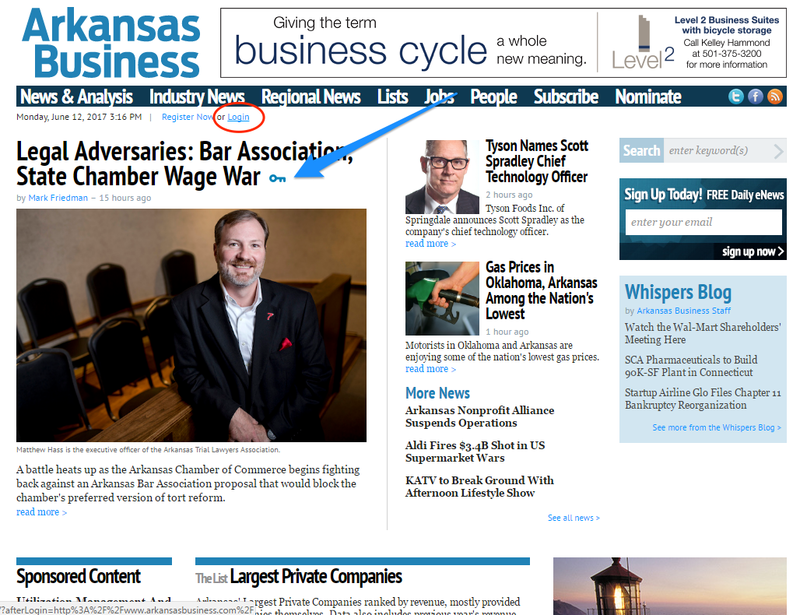 Articles located on the home page of ArkansasBusiness.com and on the Daily Report e-Newsletter with a blue key next to them are available ONLY in the digital, PDF format of the weekly issue until 7 days have passed since its release. 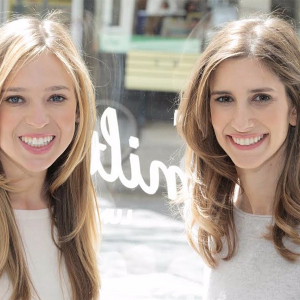 After that time, those articles will be available for individual viewing and/or printing. 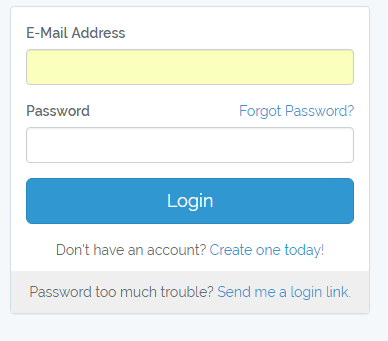 If your password reset email does not arrive within 5 minutes, please check your spam folder. 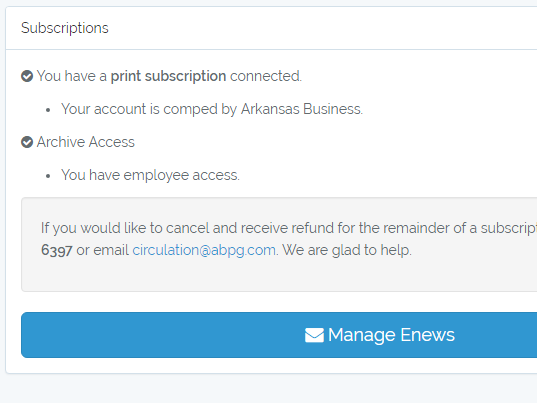 E-news subscribers can unsubscribe by clicking “unsubscribe” at the end of any e-newsletter.